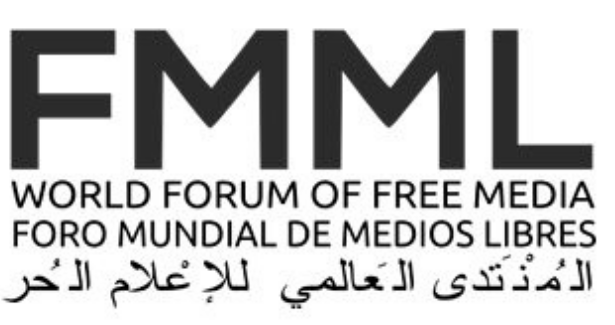 The World Forum of Free Media (WFFM) will be present in the World Social Forum (www.wsf2018.org) in Salvador (Bahia, Brazil) from March 13 to 17, 2018. The WFFM was born in 2009 as part of the World Social Forums thanks to the coming together of activists seeking to guarantee freedom of expression and the struggle for other forms of communication. After almost ten years, we have organized many activities around the world, including five editions of the Forum at the framework of the WSF, supported by the initiative of the actors like journalists, associations, bloggers, producers of information, NGOs, representatives of social movements, developers of free technologies, etc. This year, we will be together again, fostering debates and roundtables and contributing to a collaborative coverage of the Word Social Forum in Salvador. You and your organization are, then, invited to be part of this mouvement. If you are going to propose activities in Salvador, related to communication and free media issues, we invite you to difuse them under the banner of the WFFM. Below, you can check some of these workshops, already confirmed by the WSF. Besides workshops and round-tables, the WFFM will support organizing a collaborative live coverage of the WSF to community radios, WSFTV and different websites. i) II International Ciberfeminist Meeting: decolonizing the Internet: The purpose of the meeting is to create a Network of Cyberfeminists to discuss ways to advocate for feminist activism on the Internet, focusing on privacy and digital security. The idea is to discuss and sensitize feminist leaders and women’s groups that use the Internet on the need for safe spaces, self-defense and critical uses of this communication tool, discussing the possibilities for an inclusive, feminist and antiracist Internet.